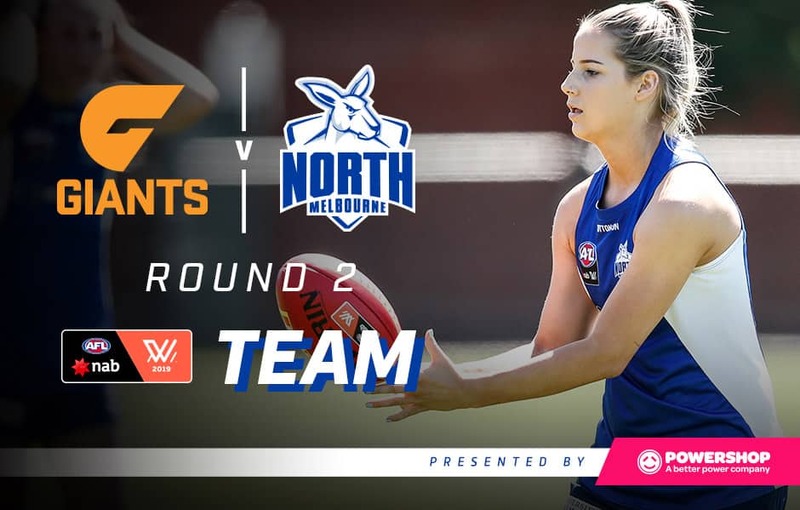 Elisha King has been named to make her AFLW debut against the GWS Giants this Friday night at Drummoyne Oval. The 18-year-old dual-position player was signed by the North Melbourne Tasmanian Kangaroos last May. King impressed recruiters with mobility and skills during her trials at the club, and is likely to be a valuable commodity for the Roos due to her ability to play on the wing and half-back. King has been named in place of Georgia Nanscawen. See our team of 21, presented by Powershop below. Powershop is giving North supporters a $100 discount when they choose Powershop for their energy.